The story centers on a paranormal expert who, while investigating a gruesome slaying, finds a house that is at the intersection of "highways" transporting souls to the afterlife. Based on the wraparound story penned by Clive Barker in the author's "Books of Blood" collection, a psychic researcher, Mary Florescu, has employs medium Simon McNeal to investigate a haunted house. McNeal, at first, begins to fake his visions, but then real ghosts present themselves. 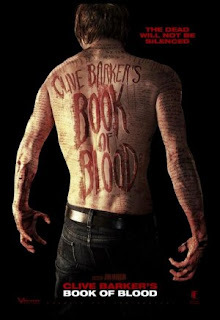 They attack him and carve words in his flesh, and these words, claims the narrator, form the rest of the stories, stories written on a literal, living Book of Blood.